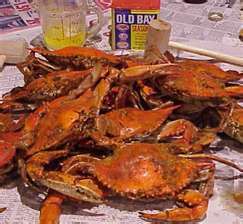 The MTA Lodge #17 Crab Feast will be held at the Chesapeake Landing Seafood Restaurant, 23713 St. Michael's Road, St. Michaels, MD on September 5, 2013 from 6:00-9:00 PM. Menu Includes: All you can eat #1 steamed Crabs, Shrimp, Fried Chicken, Corn on the Cob, Potato Salad and Coleslaw. Beverages: Ice Tea, Soda, Coffee and Pitchers of Draft Beer. Cost is $15 per person and there is no charge for children under 5. Lodge 17 Member MUST be present and may bring ONE guest. Sign Up Sheets are posted at MSP Easton and MSP Centreville and will be collected on 8/29/13.